Moz published a story yesterday showing a high correlation between Google +1s and Google's search rankings. 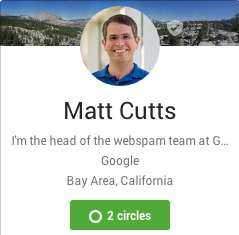 Shortly after, Google's head of search spam, Matt Cutts, went over to Hacker News and debunked it. He said, +1s do not have any impact on search rankings at Google. Truth is, Google is to blame for the confusion. In August 2011, Wired published a story suggesting Google+ was tied to ranking. Google's chairman suggested it as well in February 2013. Matt Cutts did say at conference it is not used but did say that authorship is a good signal, which can be confusing for users. Anyway, I do believe Matt when he says +1s are not used directly in the ranking algorithm. Forum discussion at Hacker News & WebmasterWorld.